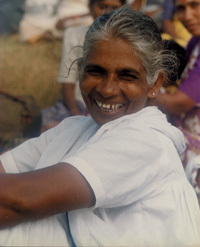 Sri Lankan women live 6.6 years longer than their male counterparts, the Department of Census and Statistics (DCS) reveals. While women are expected to live for 78.6 years at present, the highest life expectancy among local females was recorded from the Ampara (81.1 years), Matara (80.2 years), Galle (79.9 years) and Gampaha (79.9 years) Districts. The DCS points out that there are many reasons as to why females in the country live longer, including biological, geographical and socio-economic factors. High alcohol and tobacco consumption, coupled with riskier occupations and a lack of regular health checks, are highlighted as contributors to the decreased life expectancy of Sri Lankan males.